Pammy Blogs Beauty: June Giveaway at Free Beauty Events! June Giveaway at Free Beauty Events! It is time for the June Giveaway announcement for Free Beauty Events! Before I dive into Giveaway details, let me tell you more about this site. On the freebeautyevents.com site, you can find out about where you can go for free makeovers and free samples. Plus, you get a chance to win beauty products in their NEW monthly contest! 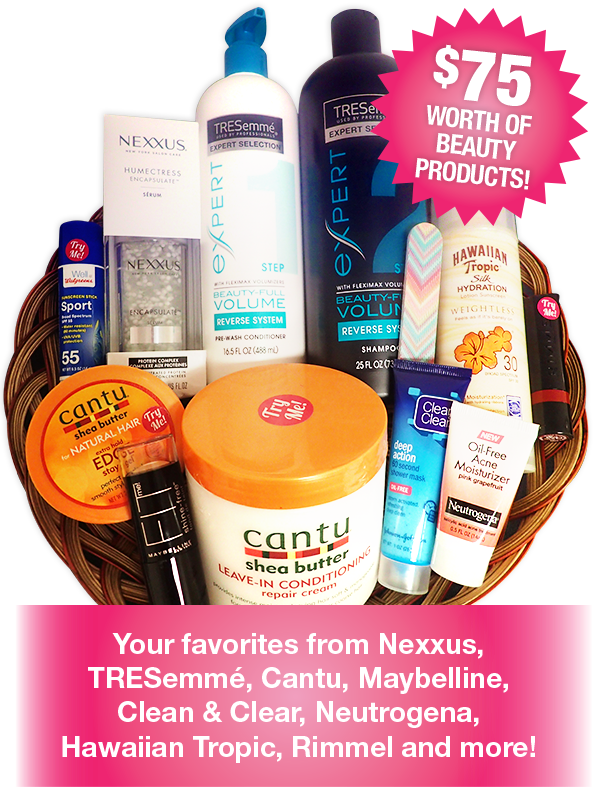 Free Beauty Event's June Beauty Basket Giveaway includes products from Cantu, Rimmel, TRESemme, Nexxus, Maybelline, Neutrogena, Clean & Clear, Hawaiian Tropic and more! The Contest runs from now through 6/30/17, winners will be chosen on 7/10/2017 and notified by 7/15/2017.